Majority of people around the world are counting the days ’til Christmas. Everyone I know is already on holiday mode, looking forward to last-minute shopping, wrapping gifts, doing the grocery, cooking, dressing up, and finally celebrating that special day when everyone is expected to share more love than usual. For us Christians, we know the reason for Christmas. 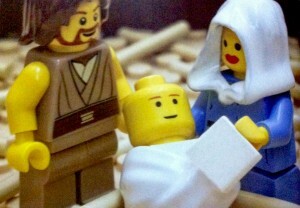 That is–the birth of our Lord and Savior Jesus Christ. But do us people who can celebrate Christmas still think and reflect on the true meaning of Christmas? Admit it, most of us get excited about the coming holidays because of the 13th month pay, for some extra Christmas bonus, the thrill of decorating, the cool breeze, the chance to dress up, and a week-long vacation for some. Christmas has become too commercialized that even Christians take for granted the real meaning of the season. We know it, yes, but we do not make it a priority. CHRIST is the Reason for This Season. Christmas is a time of commemorating the birth of Christ. And who is this Christ? Jesus, the Messiah. The Savior and Lord of the fallen world. God, the Father, sent His one and only Son, to give us an everlasting life, because He loves us so much (John 3:16). Jesus became man to do the Father’s will (John 6:38). Christ came to this world to be our salvation. All have sinned and fall short of the glory of God (Romans 3:23). Sin has its consequence and that is death but God loves us so much that He has given us eternal life in Christ Jesus our Lord (Romans 6:23). Man has become separated from God but there is Jesus–the Way, the Truth, and the Life (John 14:16). It is only through Jesus that we can come to the Father and be reunited with Him in heaven. It is by His grace that we have been saved, through faith, and not because of who we are or what we have done, but because it is the gift of God (Ephesians 2:8-9). Oh what a beautiful gift! The Gift of Salvation which started on a manger one holy night in Bethlehem. It may be hard to fathom that the King’s Son came to this world, born in manger, to a young but faithful and obedient couple, Mary and Joseph. But because God loves us, He offered Jesus to give us eternal life. God’s Plan of Salvation started on Christmas day. Christmas is the time we can declare louder that “Jesus is Lord”. God’s plan of salvation calls us to believe in our hearts that God raised him from the dead for us to be saved. Not by our good works or the amount of money we give to the church as offering, but our hearts who believe, and with our mouth that we profess our faith and are saved (Romans 10:9-10). The essence of Christmas is CHRIST. Christianity is about being a follower of Jesus Christ. Him alone and no one else. Holidays may be the best time to preach this Good News–that a sinner can be made free and righteous through our faith in Jesus Christ. But really, we must make every season an opportunity to share His love not just to those who are closest to us, but also to those people we think are not deserving. God’s love is unconditional and that is the kind of love we should also be giving. As Christian parents, it is our responsibility to teach our children The Greatest Story Ever Told. Christmas is a perfect opportunity for us to teach our young ones our faith. As a mom to a 3-year old, I need to make sure that my son recognizes that we have Christ in our family. This year is his fourth Christmas but it’s only now that he can begin to understand what Christmas is all about. And how do we that? (1) We tell him The Story of Christmas. 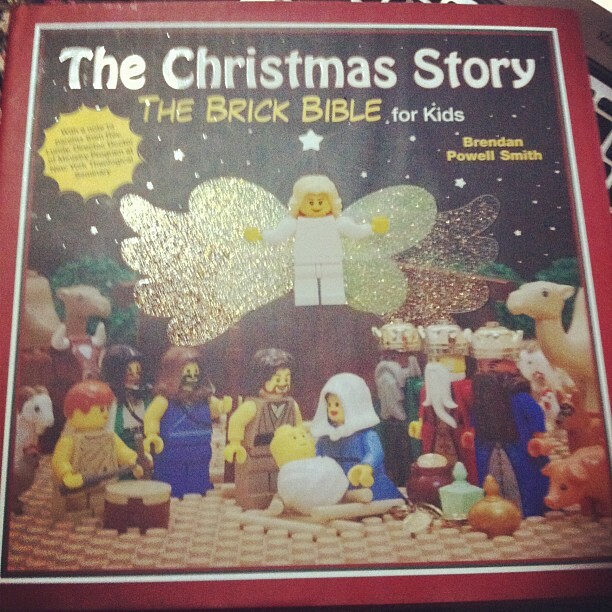 What better way to get him interested in listening to us tell the story of Jesus Birth than this LEGO Christmas Story book. We’re not robbing him off the joy of getting to know Santa Claus but as early as now, we’re not teaching Noah that gifts come from Santa Claus. We’re not gonna lie to him about Santa Claus and we’re not gonna make him believe that he is real. Instead, we’re trying to teach him who Jesus is by reading him The Christmas Story and praying with him. 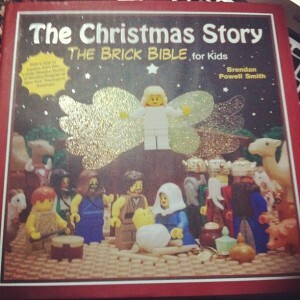 Our son may still not fully grasp the meaning of Christmas but it’s not too early to build a foundation of faith. The faith we have will be the greatest heritage we could leave him. It’s only by God’s grace that we can be the kind of parents God wants us to be. (2) This is the first time we’ve set up a Belen at home. My mom gave me this wooden Nativity scene that was previously owned by my sister’s mom-in-law. More than the beauty of this wood sculpture is the story behind it– the birth of our Savior. 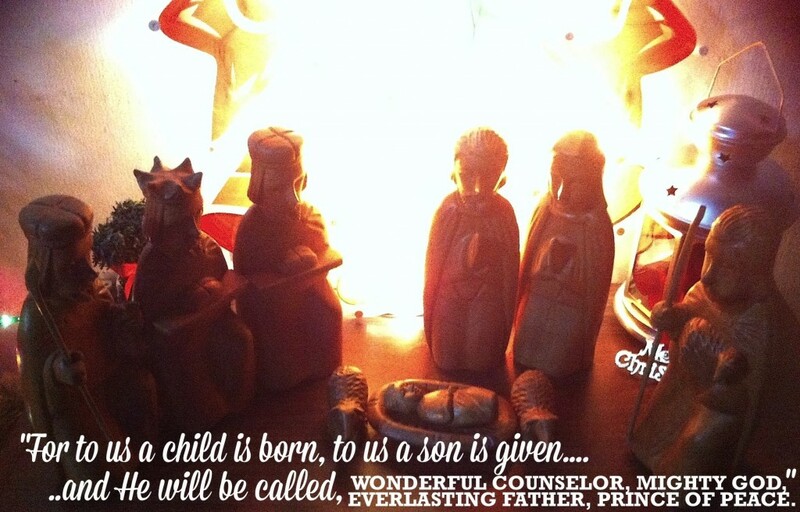 Displaying this Nativity scene is another opportunity where we can share the story of Christmas to our son. (3) Simplifying Christmas is another way that we remain true to the Reason of the Season. We only have few decors this year at home and most of them are DIY Christmas Decors and because we decided on a Spend-less Holiday.I mentioned this already but you see during Christmas time, people tend to be selfish and excited with the gifts that they would receive. Christmas isn’t about the “I” (that’s you and me) receiving gifts but it’s about celebrating the Real Reason for this Season– His name is JESUS. 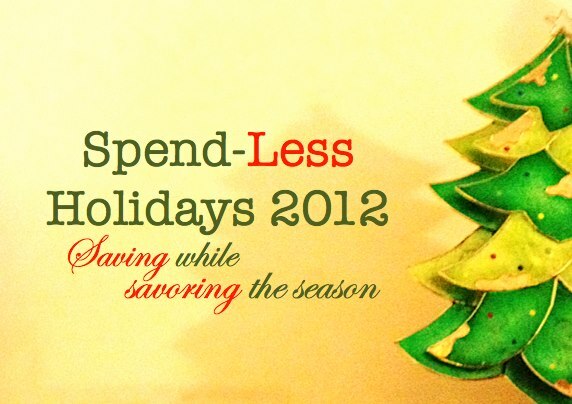 This year, we’re going thrifty by not spending too much on gifts. Some of the gifts I prepared are even handmade and personalized. I think gifts become more special that way. (4) Since Christmas is also a time of giving, we’ll be giving away Noah’s old but usable toys to other kids. I’ve already sorted his toys and clothes but haven’t decided on whom to give to or where to bring them. We also intend to give some of my and husband’s clothes to people who need them more. We both work from home so we don’t really need a lot of clothes. (5) Kids are welcome. 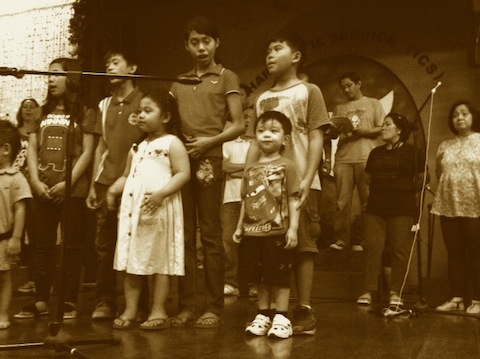 Christmas Caroling is one tradition of Filipinos during Christmas. Some cities in the metro may have banned Christmas carolers in the streets but I feel we need to keep this tradition especially for the kids. 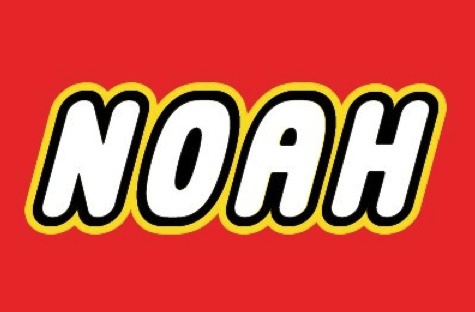 I am excited for Noah to be the one to give coins to the kids. We’ve started as early as the first week of December actually. I’ve prepared coins and some candies and chocolates to give. Kids are welcome to sing in front of our house but of course, I still have to be careful and wise in giving. As much as possible, I take note of the kids’ faces so we know we’re not being fooled. I know giving and sharing must be from the heart and without any questions but we still need to exercise wisdom. If other houses are shooing these kids away, our family will try our best to at least give them something. I’m not promising that we will give to every kid who comes our way but we will try our best to be more kind, loving, and understanding. (6) For this month, our church pastor’s sermons are focused on Experiencing God. Last Sunday, our church choir gave a very beautiful musical presentation entitled “Experiencing God” by Gary Rhodes and Clare Cloninger based on the Experiencing God book by Henry Blackaby. We wanted Noah to join the children’s choir but we weren’t able to bring him to the practices. We’ve been playing the song “My Abba’s Child” for him to sing along since September. He knows the song but it’s been a busy working December for my husband and I so we regret that we weren’t able to have him join. It would have been nice and heartwarming to see Noah up there like when his dad and I used to do when we were still part of the Children’s Church. He only got to join one practice but that was enough to make me cry. Next year, we’ll see to it that he joins the presentation. By then, we hope that he understands that singing for God is one way of worshiping Him. For now, we’ll continue playing Christmas songs and letting him sing along with us. (7) Christmas parties are inevitable. Others may get excited in all the food they can partake or all the booze they can finish but for us Christians, it’s important that we celebrate in more meaningful ways. Parties are opportunities to connect with friends and relatives. Use such time to relate with people on a more personal level. Do away with the gossip and senseless fun. Criticisms, hatred, and envy should have no place if you want to keep Christ this Christmas and every season of your life. On Christmas Eve, we’ll celebrate just the three of us at home, just like Jesus, Mary, and Joseph. We’ll use that time as another opportunity to experience God as a family who loves and worships the Lord. This is a tradition we intend to keep. Here are the links to the other blog carnival participants. I hope you’ll take the time to visit them and leave a comment on their posts! The list will be updated throughout the day, so please do come back and check on them. God bless us all! Sharing is caring. I’m not part of this Blog Carnival of the Work-At-Home-Moms group I’m a member of because I failed to write one and missed the deadline but I want to share the numerous great tips provided by the other mommies. I shared with you my 12 Shopping Tips For a Merrier Christmas already and that DIY Christmas Decors. Here are more helpful tips for you to have a meaningful Christmas without having to spend a lot. Enjoy! Aaah, Christmas. It’s my favorite time of the year. The list as to why I love the holidays is endless but I’m not about to enumerate them. Yes, we all know that “Jesus is the Reason for the Season”. Still, some people get caught up in all the Christmas rush. You know, shopping, shopping, food, gifts, parties, and yeah, more shopping. Despite the stress, traffic jams, and overdrafts, people still fight their way to the malls and ‘tiangges’ to do their Christmas shopping. 1. Make a Christmas list. By this I mean a list of people you want to give gifts to and not your Wish List. There’s a huge difference between the two. The former is more important. Write down those very special people who are dear to you so you won’t miss anyone. 2. Set a budget. This one is also very important. You can’t risk going over your budget. Even if some people say it’s okay to splurge, don’t. Stick to your budget. If you can, pay in cash. Don’t just swipe, swipe, swipe. You don’t want to be paying for Christmas gifts until June, do you? 4. Buy in bulk. 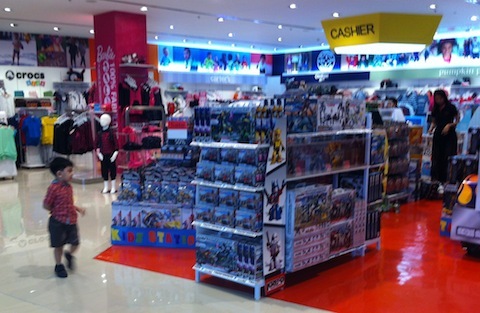 During Christmas, most stores offer promo packages. “Buy one-take one” or “3 for 100”. You’ll be amazed at how much you can save if you buy wholesale as compared to getting individual items. 5. SALE signs are not always godsends. Especially to the ladies – don’t be deceived by the big red signs hanging in the malls. Sure, Christmas is the only time you can justify splurging but remember that there are more important things in life than getting a new dress for you, your children, or whoever. Stick to your list; you don’t have to buy everything you see. 6. Plan your trip to the mall. I would suggest a one-time, intentionally planned ‘trip’ instead of several unplanned, last minute trips. It would be best if you go to the mall just one time and do all your shopping then. That way, you can save on transportation, food expenses, and avoid those terrible, terrible traffic jams. 7. Use recyclable bags. More shopping means more plastic bags which, we all know are harmful to the environment. You can do your share of saving our eco-system by bringing your own paper bags. Better yet, why not use eco-canvas bags? Or, if you have a large bag, use that instead. You can just put all your purchases inside that. After all, that’s what big bags and tote bags are for. 8. Stay safe. It’s no secret that more people get robbed and mobbed during December, especially in the Philippines. Make sure your money is safe. Belt bags are advisable to use when doing extreme shopping. 9. Shop during off-peak hours. Avoid the Christmas rush. Malls in the Philippines are usually crowded during the holidays especially after the 13th month pays and bonuses have been given. If you can, file for a one day leave so you can shop earlier in the day. 10. Shop online. Try eBay or consider the countless online shops in Multiply and eBay. If you’re feeling generous, you can buy from US-based websites and have them items shipped to Manila via Johnny Air. It’s hassle-free and some would even offer free gift wrapping. You can also save on shipping sometimes. 11. Save receipts. Don’t just throw them away as they are the best way to keep track of your holiday expenses. Also, you never know if you might need to return some items. 12. Don’t wait until the last minute. It’s never too early to shop. Avoid the Christmas rush. Prepare weeks before, not the day before. This way, you’ll be more than prepared, you won’t have to fight crowds, wait in long lines, or have to settle for the leftover, limited merchandise. Avoid stress. So there you have it – Christmas shopping tips for 2012. Remember though that while shopping can be therapeutic (especially during these hard times), the Season is not all about that at all. Remember that the best gift you can give to anyone is still your LOVE. Merry Christmas Shopping to you! Who knew parenting could be so challenging? I was faced with this challenge only this year and I know it’s only the beginning. At times, I’m at lost for words not knowing the right way to deal with my son. I thought I knew how from observing other parents before me but it’s different when you’re already in a particular situation to calls for a time-out and discipline. That is why I try to learn from reading. I’ve started My Mommy Notebook a couple of months ago but it’s been a while since I last shared. Here’s the next set of “Mommy Tips” I gathered from various books I’ve read. My prayer now is for young mothers like me to be interested in nurturing the spiritual lives of their children. It’s never too early to start them in loving and living for God. You can plan and plant the future of your children by way of preventive praying. Into fitness? You can use exercise time as time of worship to God. Anything you do can actually be a time of praise and worship to the Lord. Decide not to get bitter. Get better and God will give you a new beginning. You can be a wife of noble character. Begin by making a small change today. Ask God to give you wisdom when you talk to your children about being pure before marriage. Explain to them the Living Word of God. Plead the blood of Jesus for protection for your families, every morning, and every night. You can always plan for the future of your children, your families, but God’s plans will always prevail. Allow Him to show you the path. A mother should be responsible in providing a spiritual heritage for your children. Follow His priorities for your lives and you can be sure He will be pleased with you. You cannot redo your past or remake your nature but God delights in changing you. Allow Him to help you become more and more like Jesus Christ. Cherish the simple and be humble as the King Jesus was. 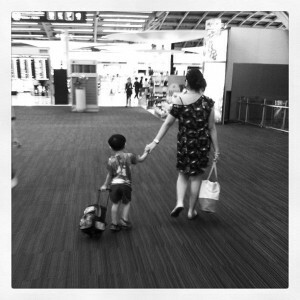 I wish to become a good homemaker but I think that becoming a good mother should be a priority. Those two are different. You can beat Martha Stewart as a domestic diva but not be a good mother. There has to be a balance. It’s hard I tell you. This journey into godly motherhood in this day and age is a challenge but I know our Heavenly Father will be there to help me. I hope other moms realize this need too. 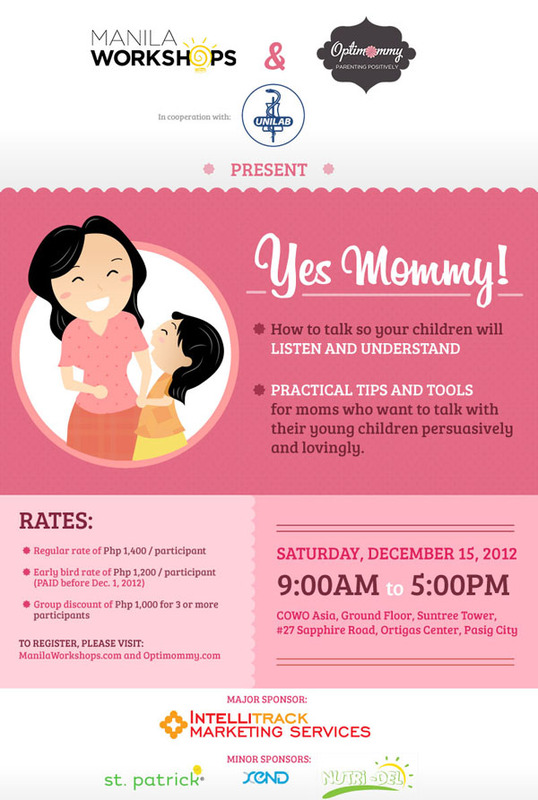 Any mommy tips you want to share? Those who sow with tears will reap with songs of joy.Those who go out weeping, carrying seed to sow, will return with songs of joy, carrying sheaves with them. This year’s theme is Thrifty Christmas for us. Since my husband and I work from home, we don’t receive any 13th month Christmas bonus. While others are enjoying their month’s worth of salary or probably have already spent them, we are treating Christmas expenses under miscellaneous. Hehe. I haven’t done any Christmas shopping yet. I said I’d start decorating on the 3rd week of November but failed to do so. I only started yesterday. It finally hit me that I can no longer procrastinate because before I know it, Christmas has passed. 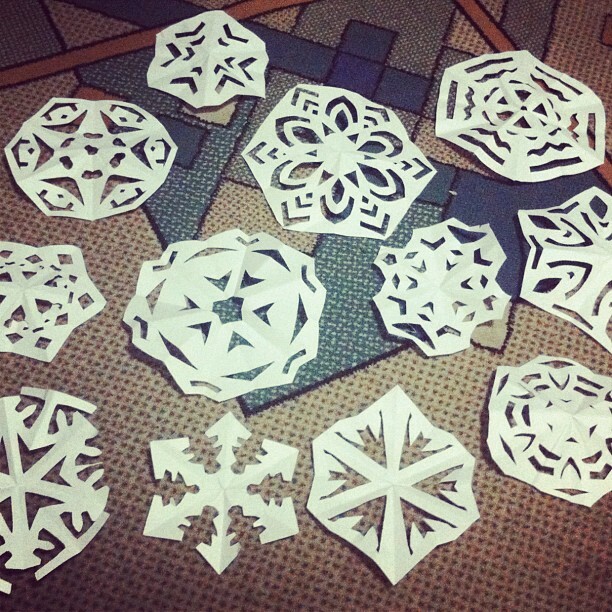 I’ve always wanted to learn how to do paper snowflakes. I searched for instructions on how to and found the Instructables. It was so easy to do I made a dozen within 30 minutes. 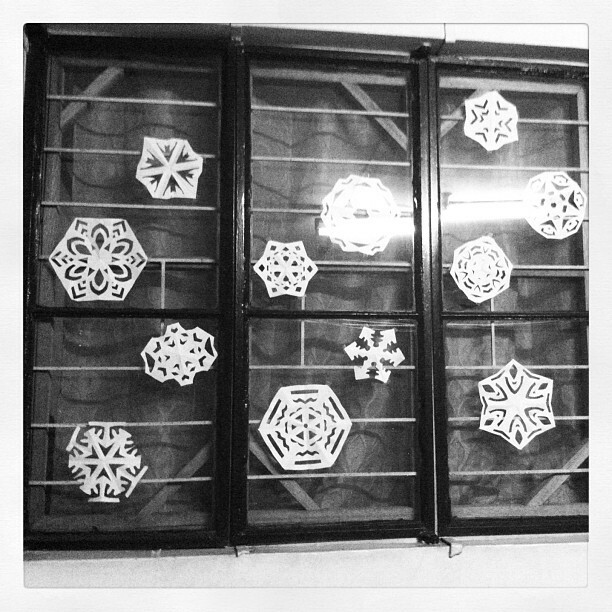 I placed these snowflakes on our window. I haven’t checked if neighbors would be able to see these snowflakes from outside but from our living room, they look really nice. Husband and son both loved the Christmas window decor! Noah said they’re “amazing”. Hihi. The first day. Next is this ABC Christmas Tree. I was looking at Christmas wall decals for ideas when I thought ‘why not make it educational for the toddler’. 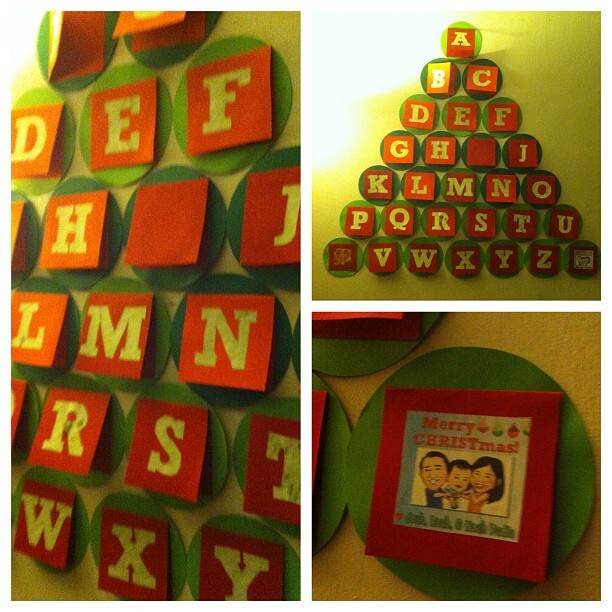 This Christmas tree wall art isn’t finished yet because I need to put details inside each card: numbers, shapes, and colors. I posted this on Instagram earlier and a friend asked what happened to the letter “I”. I lost the letter. I must have thrown it by accident. And then I thought it could be a great conversation starter. You see during Christmas time, people tend to be selfish and excited with the gifts that they would receive. But Christmas isn’t about the “I” (that’s you and me) receiving gifts but it’s about celebrating the Real Reason for this Season— His name is JESUS. Actually, not just this Christmas Season but Every Season. Christmas is a celebration of His birth. Why celebrate? Because He is our Lord and Savior. His birth, His life, and His death and resurrection are reasons to be joyful this Christmas. Without Him, we are nothing. I haven’t decided what to do today but I finally brought out our old Christmas decors from storage. I washed the mini Christmas tree already so I guess we’ll just decorate it later. I put up some decors already, tested the Christmas lights, changed the curtain and pillow covers I scored from ARQ Curtains during the last Bodega Sale. I’m not saying you shouldn’t be shopping a lot this Christmas, I can’t stop you from doing what you love. Haha! Just keep it to a minimum and think about your purchases, be wise, be practical with your gift-giving, save a portion of your 13th month, and give to those who are less privileged. 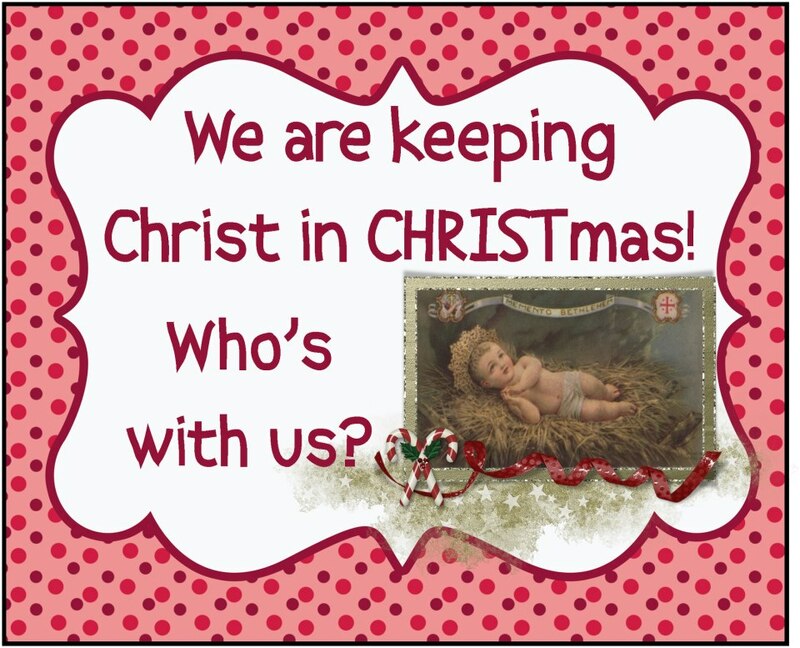 Let’s put CHRIST back in CHRISTmas. We decided earlier that we would be having a small party at home for Noah this year. A small party meant our immediate families, a few relatives, and some friends. But when I finished the guestlist, the number totaled to 70. That’s still a lot for a small party. I planned on inviting them to our house by batch: families for lunch, relatives for merienda, and friends for dinner. That sounded not too practical as I knew I’d end up very tired and would be spending more. Then, I thought of getting a hotel suite and just inviting them over. That didn’t seem convenient to everyone but would be cheaper for us. And then I remembered how Noah enjoyed the Jollibee mascot at his cousin Jam’s 1st Birthday Party. It was the first time that I really witnessed him have fun at a birthday party. Actually, that weekend he enjoyed three birthday parties that made me decide to finally schedule a kiddie party at Jollibee. So we did. 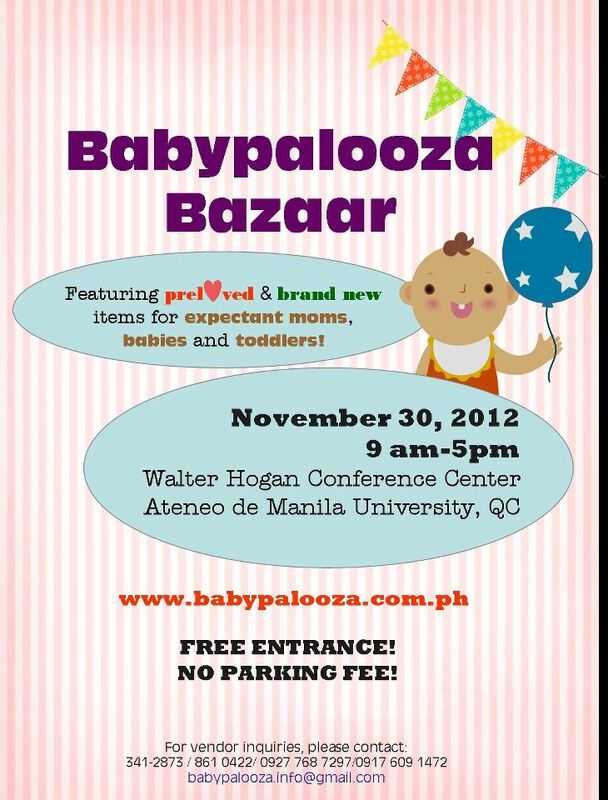 Another event for the mommies and daddies…and babies too! I highly recommend going to this Fun Ranch Country Fair with your kids. We’ve been to the Fun Ranch a number of times already and Noah would always enjoy his time here. Just last May, we’ve been to the nearby Ark Avilon Zoo. Country Fair is a one-of-a-kind event that offers various activities you and your kids will surely enjoy. We have a mini-petting zoo by Zoomanity Group, an enthralling animal show for pet lovers and a kiddie fashion show featuring ranch outfits. You can also win prizes in our family eating and animal race contests. Or watch our jugglers and magicians perform live on stage. Visit our Kidpreneur Area at the Big Red Barn. Watch our kids show their entrepreneurial skills by selling their stuff while you discover great finds this holiday season.The first Fun Ranch Country Fair is from November 30, 2012 to December 1, 2012. Gates open at 10:00 a.m. and closes at 6:00 p.m. Entrance is free of charge. We are also giving away free loot bags to the first one hundred (100) kids (per day) who will present their Ride All You Can or Playdium Play wristbands at our registration counter.This event is co-presented by Pet Me Home by Zoomanity Group sponsored by Pepsi. For more details, call 706-3029 or 706-3031. We’re going this Saturday. See yah! 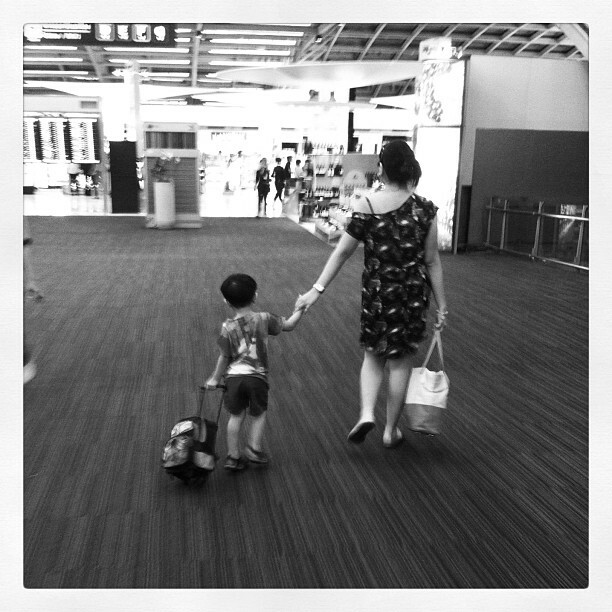 My son, if your heart is wise, my heart too will be glad. Since we’re talking about 2013 planners, might as well feature this one made especially for the moms: the Mom 24/7 Planner. This has got to be the most special because this one is for the moms, created by the moms. Para sa mga mother, nanay, inay, made, mommy, mama, momma, at mudra like me. 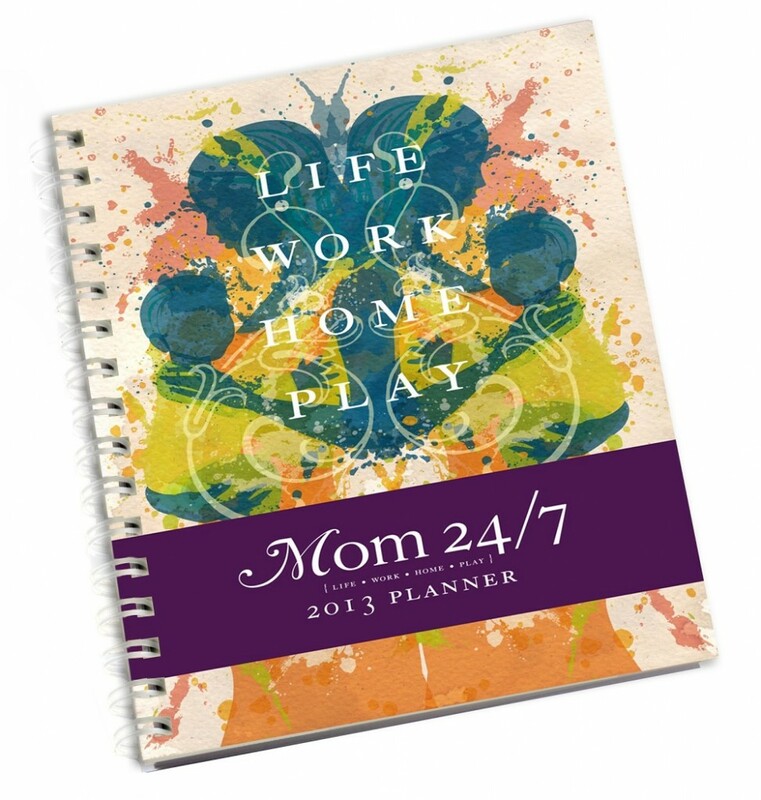 I have the 2012 Mom 24/7 Planner which I got only around July. I was curious so I bought one when I applied for the Mommy Mundo Passport (an exclusive card for the moms). As with the other 2013 planners I’m getting for next year, I’m getting this Ultimate Mom Planner at the Mommy Mundo Bazaar at Rockwell this weekend, November 24 and 25. Another planner? Yep. I’m doing a research. Seriously. And since I’m a Mommy Mundo Passport Holder, I’m getting this one for FREE! Yehey!